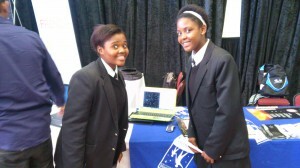 Scifest Africa is South Africa’s National Science Festival, held every year at the end of summer in Grahamstown. 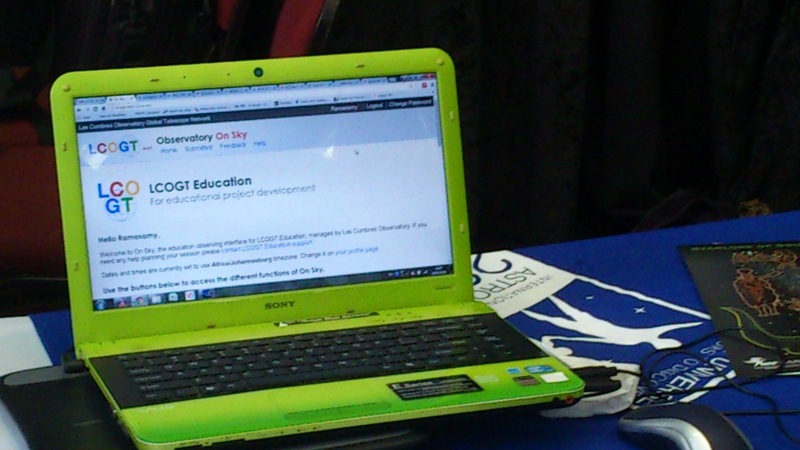 It is the biggest platform for scientists and engineers to engage with the public, share their work and inspire the youth to pursue careers in science and technology. 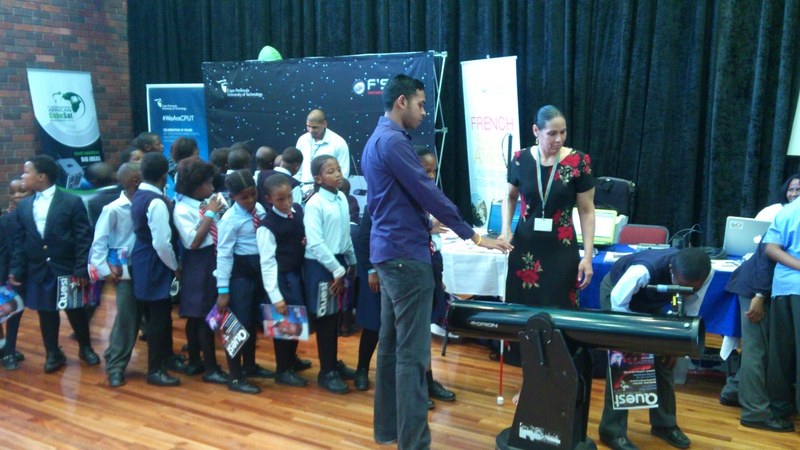 Organised by the Grahamstown Foundation and funded by the Department of Science & Technology, this year’s festival explored the theme of ‘Science Alight’ keeping in sync with the International Year of Light. The various sub-themes included anatomy, architecture, arts and culture, astronomy, atmospheric sciences, aviation, biotechnology, chemistry, diet, energy, fibre optics, gravity, lasers, matter, microscopy, nanotechnology, optics, photonics, space sciences, the spectrum, and the universe. The OAD was represented at Scifest, from Mar 18-22 by a small group including me. Our goal was to reach out to as many children as possible during this time and use the lessons from Africa’s biggest science festival to enhance work elsewhere in the world. We set up a 6-inch telescope in front of our stand as a means of getting attention. And it worked amazingly well. As it was a daytime event, we found a nice, far-away target on top of a hill. Some curious kids came up to look through the telescope and were literally dumbstruck by the view. Soon, word spread like wildfire and we had dozens of children lining up to see through the telescope. I had to recruit volunteers to manage the crowd. The reactions of the children were priceless. We also used this platform to talk about internet telescopes. 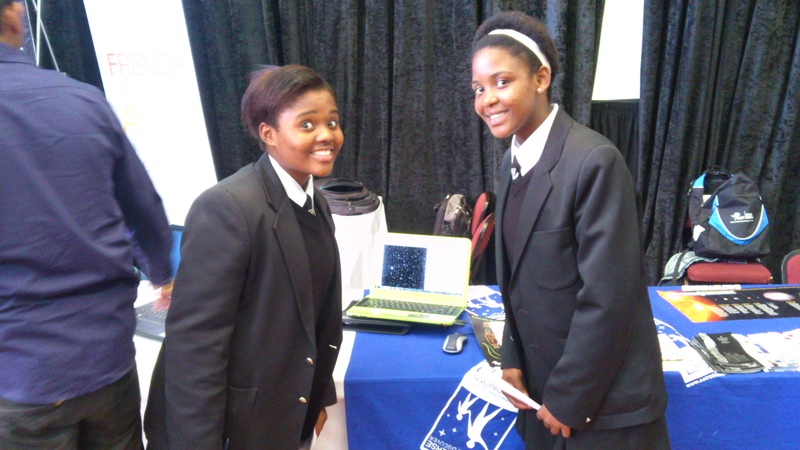 The Las Cumbres Global Network (LCOGT) kindly provided access to their telescopes during Scifest. We utilized their network to make observations during the event. The web interface offered live views of the telescope as it slewed during imaging. 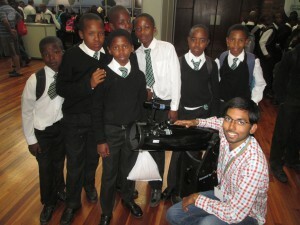 Both adults and children were enthralled at being able to control telescopes halfway around the world. On our last night, we conducted an hour-long, impromptu star gazing session for the general public, starting off with spotting the International Space Station drifting overhead as astronaut Cady Coleman (who lived there for 6 months) talked us through what we were looking at. Our team is glad to have brought joy and inspiration through Science. It was an enriching experience for us and we hope our actions had a positive influence on some of our visitors.